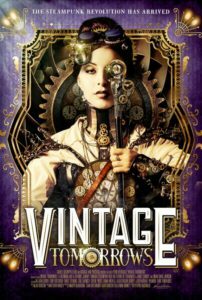 Vintage Tomorrows, currently streaming on Netflix, is a feature-length documentary about the steampunk movement. It is based on the book of the same name. It is a very personal film for me. I was a steampunk event organizer, DJ, blogger, and maker from 2007 until about 2013. I was such a fanatic that the large bureaucracy I worked for wrote a memorandum about hats in the workplace just to get the bowlers off my head. I know many of the people interviewed in this film personally. Full disclosure, one of the interviewees is Margaret Killjoy of this website. The film has clearly been in post-production a long time: none of these interviews or events took place any later than 2012, so this film is unintentionally a retrospective of steampunk at its peak. Vintage Tomorrows is at once a celebration and an epitaph. A beautiful retrospective it is. It captured the wildly diverse alliance of makers, hackers, musicians, writers, dancers, costumers, burners, goths, punks, and yes, anarchists, that came together, exchanged ideas and art, and created a movement and a subculture out of one of science fiction’s most obscure genres. It made me remember why l loved steampunk so passionately, but it also properly addressed the problematic aspects of the movement that drove myself and many others away. There were always two groups of steampunks. There were those that enjoyed artistic and intellectual creative play, celebrating the technological optimism and elegance of the 19th century but satirizing the horrible bigotry and imperialism of it. These were the people that built the movement and that is the group this film portrays. There was another group not portrayed by but often discussed in the film. They uncritically romanticized all of Victoriana and told anyone who didn’t that those who disagreed were taking the fun out of steampunk. If you told them that such intellectual topics were part of the fun, they grew rather sullen. The second group was there from the beginning, but they seemed like a minority. Few of them had anything constructive to add to the cultural discourse that was going on. That’s why, for the most part, they are not the people who do the talking in this film. Mostly the second group just grumbled that artists shouldn’t talk so much about why they make art. I’m sure the second group will absolutely hate this film because artists talking about art is the core of the documentary. Vintage Tomorrows is seventy minutes of highly creative and intelligent people talking about what inspired them to create. For about ten minutes the discussion focuses on the fact that, while the Victorian era was an explosion of some of the most progressive ideas of the modern world, it was also the era that spawned every horror that modern capitalism and colonialism unleashed. The second group of steampunks hated that topic above all others. At best, theywere anti-intellectual, but many were active proponents of both modern capitalism and colonialism. Some were pretty cool with the horrible Victorian bigotry too. A lot of fascism hid behind the constant “you’re taking the fun out of steampunk” chant. The fighting between the two groups has left the movement a shadow of itself. Egos and greed didn’t help either. This film is a perfect snapshot of the movement just before it ripped itself apart. 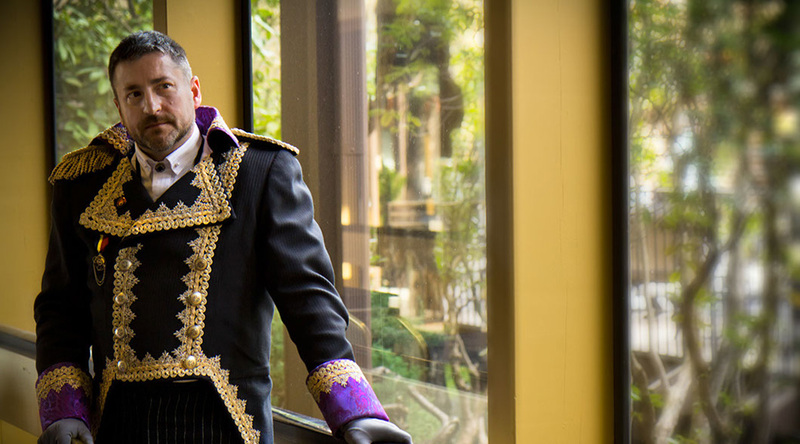 The fun-loving fascists have basically taken over the dwindled, creatively spent, remains of the movement, reducing it to just another “fandom.” They claim, while dressed like sepia-toned goths with Burning Man goggles, that fandom is all it ever was. Vintage Tomorrows is at once a celebration and an epitaph. Its nature as an epitaph is what makes this well-crafted documentary so important. It may well be last word about what steampunk was. Those that would claim that steampunk was just a fandom that a few “social justice warriors” tried to attach their “agenda” to will have to argue against the compelling narrative of this wonderful film. The heart of that narrative is the story of how a lot of freaky left wing artists came together and said some amazing thing things about technology and culture. For myself, and many others, the knowledge that this is part of how our movement will be remembered is a healing balm over some grievous injuries.